Puls Anti Static Carbon Brushes, as a passive static ionizer, is made of nano carbon fibers to propose effective solutions that can easily be adapted to many different applications. It neutralizes the static electricity charge on the surface with the principle that the static charge flows over millions of sharp points formed by the carbon brush and is transmitted to the ground at this point. Since each nano hair has a resistance from the electrical point of view, static electricity is allowed to flow to the ground without any arc during discharge of the static electricity. It is useful for safety reasons. 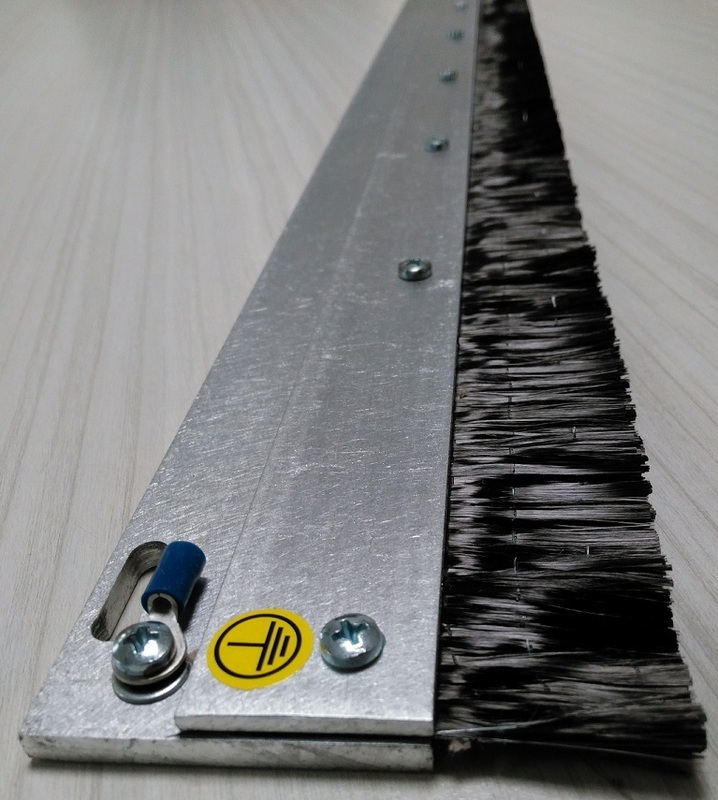 It does not require a power supply, because, as the carbon brush (anti static brush) has sensitive hair, it should not be exposed to friction by contact with statically charged material. Minimum contact distance is 1mm. It can operate between 1 mm to 5 mm, when the contact distance is increased, some charge can remain on hair, this should be taken into copnsideration. During the elimination of the static, dust and particles may stick on brush. If those dust particle are not cleaned, the carbon brush shall be periodically cleaned against risk of fire which may happen even at smallest spark. Inkjet Printing Machine, Digital Printing Inkjet Printing. : 8x75mm. profile max. Lenght 4000mm. : Effective Distance - 1mm~5mm.